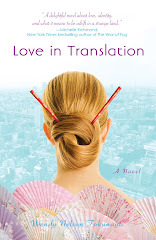 I’ve read a lot of guidebooks about Japan, but I’ve never encountered one like Japan, Funny Side Up by Amy Chavez. 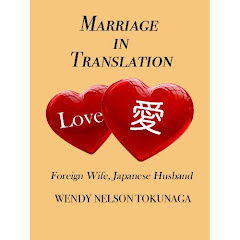 Chavez, the long-time “Japan Lite” columnist for The Japan Times (the country’s premiere English-language daily newspaper) has written a funny and insightful guide that not only gives readers excellent travel advice, but also offers valuable insights into Japanese culture and society. Chavez keeps us laughing with essays like Etiquette Tips for Santa Claus and other Foreigners (“When you come inside the house—through the window, please—take off your boots and use the XXL slippers we’ve put out for your big gaijin feet.”) and Japan: A Nation Ruled by Cartoon Characters, which introduces such kawaii mascots perhaps not as well known to Westerners as Hello Kitty, such as Miffy, Afro Ken and Koge Pan, the animated burned bread roll. She also gives practical advice on traveling in Japan, including free off-beat places to explore, as well as tips on living in Japan and teaching English there. Whether you’re planning a trip to Japan, thinking of relocating there or are just curious about this fascinating country, you’ll find Japan, Funny Side Up a highly entertaining read. Chavez, who was born and raised in Dayton, Ohio, has been living in Japan for 17 years. I recently had the chance to ask her some questions about Japan, Funny Side Up and her life in Japan, her passion for all things Japanese and how she has come to write for a living. How did you end up living in Japan? I've been in Japan since 1993 (gasp!) and came over after getting my MA in Teaching English as a Second Language. I came to teach English at college. How did you come to write for The Japan Times? I have a BA in Creative Writing and another MA in Technical Writing. I knew I wanted to write for a living, but didn't think I could make enough money at it. I also loved to travel, so I figured a degree in ESL would allow me to live almost anywhere and teach, and then I could pursue my dream of writing. I landed the job as a columnist for the The Japan Times in 1997, after four years in Japan. I had done a lot of writing before that, mind you, but I really found my niche with the newspaper. It has been good to me and I now write for a living. What made you decide to write a guidebook on Japan? I had already turned down book offers by two major publishers, mainly because I didn't care for their contracts. Book contracts aren't that hard to get, but good book contracts are. So I took the book and made it into what I felt was needed, according to what was already out there in the market, what wasn't, and what I thought should be. 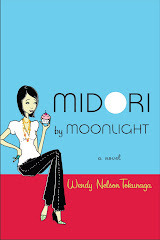 I didn't want to write just another book about Japan. I wanted to write something provocative, something useful and something that offered a closer, more personal look at the country. What differentiates Japan, Funny Side Up from all the others out there? My aim with the book is to present Japan in the most honest but entertaining way possible based on my 17 years of living here. Japan is an endlessly fascinating country. Even after all these years, I still find out something new every day! This is what I want to share with others—an absolute passion for things Japanese. In addition, I hope to pique peoples’ interest in Japan and get them thinking outside the box. So rather than just presenting some strange Japanese custom, I want readers to think how that custom came about and what makes it Japanese. This is the only way we can truly understand and respect another culture. With the current popularity of blogs, videos, podcasts, Facebook, Twitter, etc, another aim of the book is to recommend places people can go to find more information on various subjects. There are so many good J-bloggers out there who work really hard, usually with no compensation for their work. So I want to highlight the people who are doing an outstanding job of presenting up-to-date information about what's happening here in Japan. That's something a regular book just cannot do. And while there are a lot of average sites on Japan out there, the really good ones deserve a mention. Did you have any interest in Japan before moving there? I had done quite a bit of traveling in third world countries so I thought that if I were going to settle down somewhere, I’d choose a developed country where I could make a good salary, enjoy a decent standard of living and save some money. Japan was still hot at the time, and the opportunity to teach came via my university. Teaching at university in Japan was my first real job. I had planned on staying for five years. Have you formally studied the Japanese language? Can you read and write Japanese? Are you fluent? I studied Japanese formally at a language school the first year I was here. All the other students at the school were Chinese studying to pass the Japanese university entrance exams, so I had to study very hard to keep up (they already knew the kanji). I was also working full time at the university then, so I didn’t have time to do homework. I would go to language school for four hours in the morning, go teach university in the afternoon, then go home and grade papers. Nonetheless, I still managed to learn to read and write Japanese. You live on a remote island in Japan. Tell us how you ended up there and a little bit about what it's like to live there. I had lived in Okayama city, for almost five years when I moved to the island. 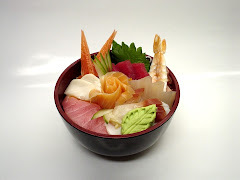 I was looking for traditional Japan in its raw, unadulterated form. I found it, in a big way, on this little island. The people welcomed me into their community and that’s when I found out how much I really didn’t know about Japan. I wouldn’t trade this little island for anything! The people are awesome—all 650 of them! Life on the island is a sub-theme in my next book, about running the 900-mile Shikoku 88-Temple Buddhist Pilgrimage, which I currently have an agent interested in. 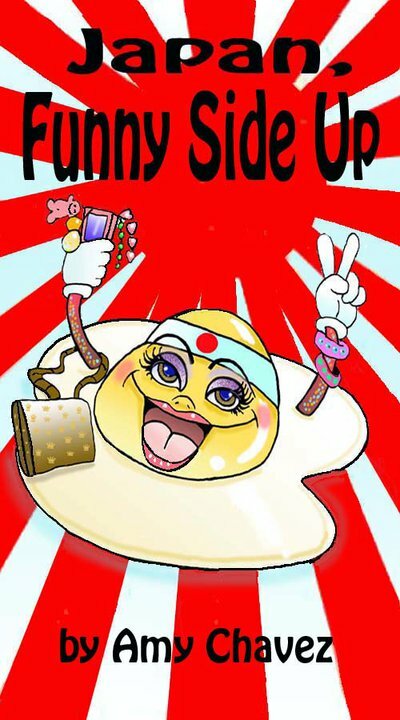 You can get Japan, Funny Side Up as a Kindle e-book HERE. Wendy, Thanks for commenting on my paper-pencil-pen blog! Nice to know it reached a USF alum, and that you're so successful in your writing. Your blog is really interesting; I just sent it to a cousin living and studying in Japan, and a Japanese-Canadian taiko-playing friend who just returned from 3 weeks on tour there with some quirky stories. Thanks so much, Nicole! Good to meet you!